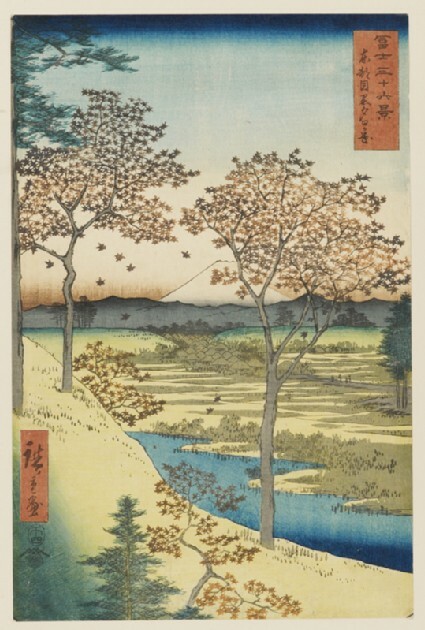 Maple trees on a hillside almost obscure the view of the mountain which, although it is spring, is covered in snow. 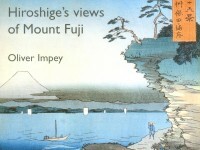 Mount Fuji is seen here beyond the branches of two maple trees in autumn. 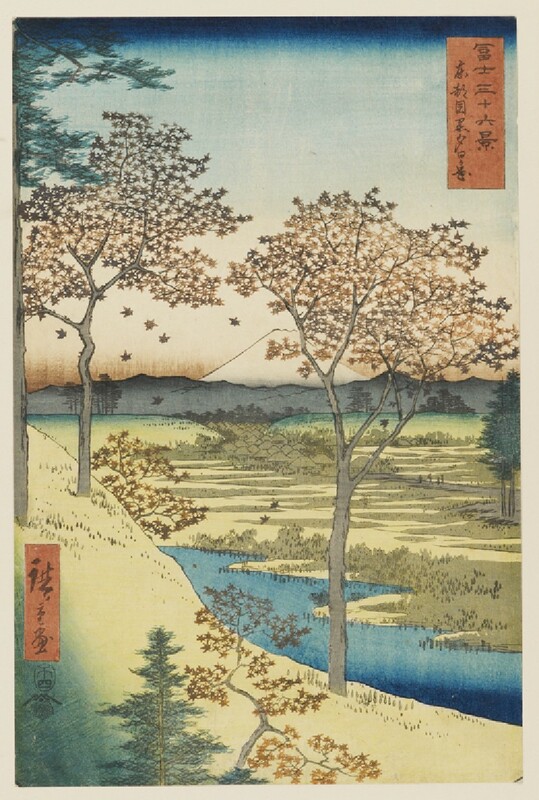 In the blue of the river and sky Hiroshige has used the technique known as bokashi, where pigment is partially wiped off the woodblocks before printing to give a gradation of colour.